The Reserve Bank may well have everyone saying Thursday’s Official Cash Rate (OCR) statement conveyed a ‘neutral’ tone on the direction of interest rates. But the Bank looks to me to still be more bullish than bearish, even following March quarter growth figures that came in well below its projection. That means the risk of earlier OCR increases than the Bank’s expectation of a late-2019 first move is still greater than any other alternative to that central forecast. With banks appearing to be encouraging borrowers onto 2-year fixed rates at the moment, people may find themselves coming off mid-2019 to higher floating rates than they expect. Sometimes it’s more about what you don’t say than what you do. And it’s what the Reserve Bank didn’t say in Thursday’s Official Cash Rate statement that had me trying to sift through the tea leaves more than usual. That was the second-to-last comment in the Reserve Bank’s May statement. It was placed between the two most important parts, that longer-term inflation expectations remained well-anchored at around 2% and that monetary policy would need to remain accommodative for a considerable period. I would place the line as one of the three key messages in May. The comment was interpreted as everything that had happened since 9 February, netted out, had done nothing to change the Reserve Bank’s views on the appropriateness of the current OCR setting – 1.75% - and the appropriateness of the Bank’s forecasts. February was when the Bank shifted from a no-change-through-2019 stance to indicating it might raise the OCR in September 2019 (current central forecast). Another key comment from RBNZ Governor Wheeler in February was that, despite this, the Bank was neutral on which way the OCR might move next – it was equally balanced as to going up or down versus a slight easing bias previously. In other words, by saying in May that developments since February were on balance neutral for the stance of monetary policy, it was easy to argue the Bank had kept a neutral stance. Skip forward to June. On Thursday, the Reserve Bank kept the bread in its OCR announcement, but the filling had gone. That is, the only mention of the word “neutral” in the statement was no more. It was an ex-neutral statement. All other indicators of a neutral stance remained. While global growth had increased, there was considerable political uncertainty out there. While NZ growth had been lower than expected, the outlook was still positive. Numerous uncertainties remain. Long-term inflation expectations sit around 2%. If the Bank really was trying to stay neutral with its June statement, why not keep the phrase that developments since February on balance were considered neutral for the stance of monetary policy? One answer is that they’re just not sure about things, due to not having run the numbers as they would before May’s Monetary Policy Statement (MPS). The next time we’ll get a full set of forecasts from the Bank is 10 August. I’ll concede this as a fair point. But, is the Bank slowly trying to tell us something? Are they slowly moving away from use of the word ‘neutral’? The Bank may well have thought in May that developments since February, netted out, hadn’t given it obvious reason to change its stance. But remember what else we learnt in May: That the Reserve Bank had grown more confused about the economy’s output gap, and how soon inflation pressures would start to emerge as the economy hit full capacity. The Bank’s Governors openly admitted they thought the output gap would have been positive by the time the May MPS rolled around, perhaps earlier, even. They revised their stance back to that the output gap was probably only at zero. This has been central to the RBNZ versus economist stoush over whether the Bank will eventually need to bring forward its track for the next OCR hike from late-2019 closer towards the end of 2018. A lot has been written about who is right, and why. And yes, the Bank looks pretty alone in its outlook. But they also have a get-out-of-jail-free card up the sleeve. Actually, let’s call it a get-out-of-jail-on-minimal-bail card. The key chart in the May MPS was the fan around the Bank’s assumptions of the output gap and how much non-inflationary slack there might be left in the economy. It was clearly weighted more to the upside. The Bank was very keen to point this out to everyone – that there is a greater risk of the output gap in fact being positive now, than negative. It provided a scenario analysis for if this were the case, warning it might have to raise the OCR by the end of this year, and that it might rise intermittently following that to sit at 2.5% in three years’ time, if the output gap was actually positive at the time of the May OCR decision rather than zero. Another possible reason for removing the line in June is that things have actually taken a turn for the worse. I don't buy that though. Yes, the Bank has openly said that New Zealand’s economic growth rate over the nine months to March 2017 was less than it had expected. Some monetary policy watchers had expected it to place more emphasis on this in Thursday’s statement. In May, where it was extolling the upward pressure on growth from construction activity, in June this was replaced by Budget 2017 initiatives after March quarter GDP figures showed construction weakness. Economists argued it was likely construction weakness in the first three months of the year was a burp more than anything else. Even if residential housing construction tapers off ahead of the 23 September election, there is a steady pipeline of other work. A boost to infrastructure spending was a key theme of the Budget, after all. What does this all mean? There is still a risk that the OCR rises earlier than the Reserve Bank’s central forecast. I know, I could have just pointed to the market expectations for a hike in 2018. But if the Bank is trying to tell us there is a risk, then we should take heed. Yes, I may be over-reading the situation but in terms of personal finance I believe it is better to be on the safe side. Let’s take them at face value that they really are struggling to determine capacity pressures which is why they’re holding to late-2019 as their central stance. We ourselves just need to add “upside risk” to that. In the meantime, the retail banks themselves seem to be kicking things along without the RBNZ doing anything. To me, they appear keen to encourage borrowers off floating rates and onto fixed. Particularly 2-year fixed. 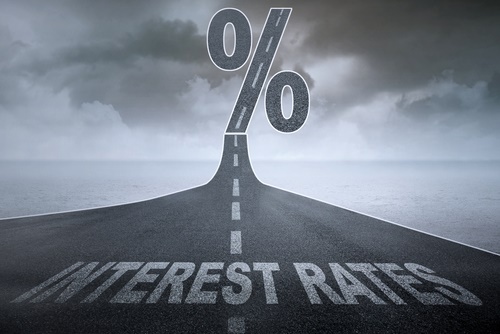 Despite the OCR being firmly on hold, the average floating rate has been edging up in recent weeks while the average 2-year has been edging down against the trend of longer fixed rates. This is largely due to moves just from a couple of banks. But you would think that, without changes in underlying wholesale funding costs (drops even! ), there would be room for at least one of the large banks to cut its variable rate a tad in order to try and steal market share from other banks increasing theirs. That none has done so indicates they want to encourage more borrowers onto fixed rates. The drive for longer-term funding/lending could also be behind this. But guess what: shifting borrowers onto 2-year fixed rates will mean they’ll be coming off mid-2019. A time when the OCR may just have been hiked, earlier and perhaps by more than we all think. Be ready for the risk of higher floating rates even if you are set to come off before September 2019.
yes Alex. But it is not a matter of being right about rates. I don't think there is much point in trying to finely predict the future rates. You take a position and what happns then is a lottery. I always take the lowest rate on offer, and don't worry about trying to predict the future. This without fail, gives me the cheapest rate. Exactly. We are currently witnessing a situation of falling US market interest rates, while the Fed under duress is forced to normalise an irrelevant Fed Funds rate. Not only is the 4-week bill back down to the "floor" of the last "rate hike" level, now the 3-month bill is less than the current RRP rate, as well. How in the world can any T-bill, let alone the benchmark 3-month maturity, trade less than the reverse repo alternative? There is as yet no one in the official world who will address what is a clear and glaring problem with the intended money market corridor. Meanwhile, the NZ Government Stock 10 year yield languishes around 2.75%. Interest is the idea that money can grow, that capitalists can get rich simply by owning capital. Interest rates will go to zero and stay there as this is the true cost of creating money. In fact if you look at Japan you will see they have already reached this enlightened state. Your assertion is in need of qualification. "... I do wonder at what level our interest rates would be if we had no Reverse Bank ... if it was left to the market to decide appropriate lending rates for our economy ..."
We already know, rates have gone against the RB decisions for much of the last 18 months. We effectively have market rates now. Congratulations on being one of the few informed people with a brain. Rates are currently at the point where the supply of investors meets the demand of borrowers. Imbalances either way influence rates. Seeing as investors are making money from their investments, the supply side will continue to grow. You need to think through why banks are raising floating rates each month, while lowering the 1 or 2 year rates. Is this to lock in the borrower to stop bank switching? To raise revenue through break fees? Or is there a reasonable likelihood of rate cuts sometime in the next 2 years which only floating borrowers can access? Why is there such a large premium & margin on the floating rates? Something is going on & we don't know what it is. What's your guess MortgageBelt ? "The OCR may be higher when you come off that 2-year rate"
You're correct it's going to be very tough for a central bank to push up rates when there's so much money in circulation. 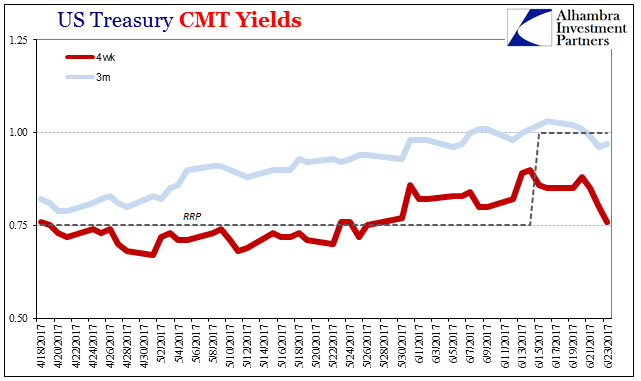 Government bonds are being sold on the market with 100 year terms, even if the Government doesn't default (which most of them will in that time) the returns are terrible and will be destroyed by any amount of inflation. The way the markets are currently reacting to Fed increases it could take a year or more before there's any significant impact internationally. However if RBNZ put up their rates it seems likely banks will be forced to move, as their economists have signaled that their margin is getting sliced pretty thin. 1.75% v 4.49% is this what you call a razor thin margin? How about 5.95 - 1.75 = 4.20 ? Oh, that's right - wholesale offshore funding costs are rising - or are they now? My rough estimate is somewhere in the region of 2.5% to 2.75% iif the money is sourced from US banks. It could be creeping higher with the credit rating downgrade. The way the banks are operating the interest cost and operational costs crew into the profits on the fixed rates. However the way the risk weightings on housing is configured they need little capital to lend. Where they make their real profits are in bulk lending. Volume matters when margins are thin. Slowing house sales reduces the rate of increase of mortgages on their books. The banks the going to struggle to keep their profits up. Maybe it's less that their margin is falling and more that their sources of new revenue are shrinking. Many Kiwis now cannot afford to take on the level of debt that would be required, so if the banks cannot get new borrowers they either need to attract more depositors or extract more revenue from their existing borrowers. I've had this suggested to me by a major mortgage broker. More propaganda from National. http://www.nzherald.co.nz/nz/news/article.cfm?c_id=1&objectid=11881696. From that propaganda "English said while National could be proud of what it had achieved - .... predator free New Zealand...." surely the achievement is giving an idea a name. Not an idea original to National note. But exactly how much ahs been achieved and even simpler how much has been spent to date? Oh good grief. Jumping on a pre-existing idea that's nice, though impossible, is not something that can be claimed as an achievement. Meanwhile out here in reality, they've completely run down Department of Conservation, starved them of funding, and severely limited what they can do. Just another example of Bill English's "honest statements" then? Didge, what's your link go to do with this article discussing the OCR ? Bill English says opposition to national is "bleak and lazy". I disagree. 2 quarters of negative GDP per capita growth is bleak and ignoring it is lazy. Staying quiet when you know one of your MPs has broken the law, while he goes around denying it, that's bleak and lazy. Has anyone ever asked Blinglish what sort of population target he has in mind, so that the rest of us can make our minds up whether we agree with him or not? John Key personally told me one million! John spent 8 years lying like a flatfish, and got out as soon as he spotted a flock of chickens on the horizon coming home to roost. One of them was the Todd Barclay chicken. More will be identified as time goes on. He came, he saw, he dithered, he left. I'm not sure what that is in Latin, unfortunately. What does population target have to do with the OCR ? The OCR is a very powerful tool. It is a controlling factor. Moa Man - Yes normally, but not currently at 1.75% in a country desperate for retail deposits to fund borrowers.. The OCR could well get cut tomorrow and the response from mortgage rates would be minimal and at best short-term.At the moment until we get some "equality" in rates (a mix savers and borrowers can both handle) rising bank funding costs are the only subject worth talking about. Wrong article, doh. Excuse - I have been laid up for days with a monster cold or flu after spending the last ten years completely bug free. Maybe flu shots after this next year for me, something I hoped to avoid with my seeminly superior immune system, now defeated. The quote at the end of that article was telling. "Although our reported GDP growth looks strong, it’s not. When you look at it per capita, our growth has simply come from immigration. That’s why wages are going nowhere and will continue to go nowhere." To me, they are saying that it is Nationals immigration policies that have caused growth in NZ, by rapidly increasing NZ population. but that is coming back to bite us, as (a) we haven;t been building enough houses to house them in, which means NZers are paying more for houses due to supply and demand, and (b) we haven't invested in growing our infrastructure enough. But NZ has a weak media and weak opposition parties. Now the media today are saying that now is a good time for first home buyers to buy a house, as prices are starting to fall...why buy at the top of the market if that is true? If inflation.... is primarily determined by monetary policy, why is there no inflation in Japan today, and why hasn’t there been for 25 years? With the most massive quantitative easing and extraordinarily low interest rates ever seen, Japan has been trying as hard as it can to create inflation; but Japan has been pushing on a string, and I think some of the same conditions (demographic and market) that have foiled Japan are beginning to apply in the US and Europe. And I suspect the Fed’s efforts will be as futile as the Bank of Japan’s have been. When a person or an organization fails – and of course we all do – the best response is to show some humility, identify the problem, and modify the strategy. The Fed is doing the opposite. In August I will have $180K all floating. I am going to fix $80-100K at special 2 year rate. Pay it all off at around $1000 pw payments. Rest will float and pay off as we go. 4 years all done I hope. If you take special 2 year rate you should aim to pay off more pw than the minimum. By minimum I don't mean from interest only base. You can set a higher pay off rate at the start, say $500 pw rather than the minimum to pay off after 20 years or interest only. Leave some floating and pay off when you can in lumps. That is what I am doing. Why not pay off minimum on the fixed, and make all your extra repayments on the floating? Gives you more flex if your situation changes. Agreed, especially when the 2 year fixed rate will be lower than the floating rate. Why wouldn't you pay the floating off as fast as possible (even interest only the 2 year fixed). I agree the amount you have on floating you pay down as quickly as possible to minimise interest. You can pay down the fixed portion at a reasonable pace, especially with two years fixed. In the end you are on the last run to pay off the debt so you need to balance what will work best depending on how regular your income is. Or just keep it all on fixed and pay of a big chunk at the end of the term? Why not use the offset or revolving facility? You get to save on the interest and also flexibility of using the money at anytime without refinancing in the event of emergency. I have a loan about the same amount and i am paying the minimum but offsetting100k so effectively paying interest on the remaining amount which i fixed at a lower rate.